After fifteen years of listening to confessions as a priest you begin to learn a few things about sin, grace and their effects in life. Sin wounds us on a variety of levels but I believe that one of the most corrosive effects of sin is how it wounds our memory – individually and as community. In sin we forget – we forget who God is and who we are. In sin we begin to forget who God is… Throughout the gospels we see that Jesus continually puts before us a specific understanding of God the Father. God is Abba, “daddy” – the one who loves unconditionally and who gives life abundantly. In the gospel for today (Mt. 6:24-34) Jesus reminds us that God watches over the birds of the air and the flowers of the field. God is the father who yearns for the return of the prodigal son and who loves his son just as much when he is lost as when he is found again. God’s love remains constant. But we forget. In sin we quickly begin to think of God as distant, aloof – either a harshly judging and condemning God or so aloof as to be of no real consequence. We easily replace “God is love” with “God helps those who help themselves” (a saying found nowhere in all of Scripture). In sin we begin to forget ourselves… I have seen this dynamic again and again – the fruit of sin is that little voice in the back of our thoughts constantly murmuring: “Who do you really think you are?” “You are not worthy of love.” “If people only knew the real you…” “You have no worth, no real value.” Sin leads one down a very dark alley of self doubt and ultimately self hatred. In today’s first reading we read from the forty-ninth chapter of the Book of the prophet Isaiah. A few verses before this reading we find this, “The Lord called me before I was born, while I was in my mother’s womb he named me.” God knows each one of us even more than we know ourselves. I believe that one of the graces of the sacrament of reconciliation is that when we have forgotten who we are through sin and are lost God remembers for us and by so doing summons us to truth. “Do not worry about tomorrow,” says our Lord. Be rooted in the sure knowledge and memory of love. Our Holy Father makes an important point when he reflects that the experience Paul had on the road to Damascus was not an inner psychological development on Paul’s part – a maturing of his ego – but rather an encounter with another, specifically the Risen Lord (the one who once was dead but who now lives). It is this encounter from without that alone necessitates a dramatic death and resurrection in Saul’s own life. The one who once was persecuting the Church becomes the Apostle to the Gentiles! The Pope then brings this very same dynamic to our doorstep. “We are only Christian if we encounter Christ.” The encounter we have may not be as dramatic as that of Paul on the Damascus road but it is just as true. In our prayer, in Sacred Scripture, in the worship of the Church, in service to another we also encounter Christ. In all these ways we “touch Christ’s Heart and feel him touching ours.” The heart of all discipleship is encountering Christ. In this realization there is an implication for discerning ones vocation in life. We cannot necessarily reason our way to a vocation in life! 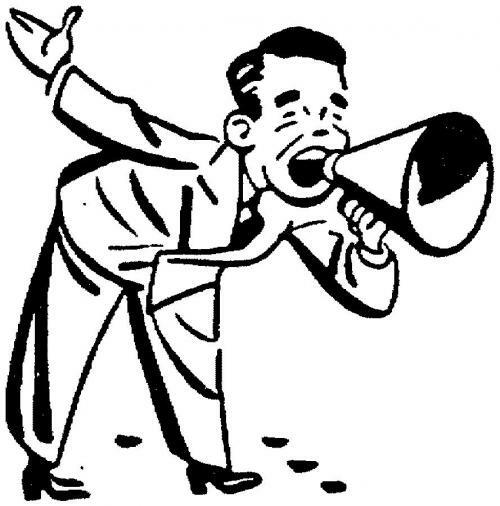 Christian vocation is not the result of a inner and private process of ego maturation. Christian vocation springs first and foremost from the encounter with Christ! We cannot reason our way to a vocation in the Christian life. If we attempt this route we will just spin our wheels – expending a lot of energy but really going nowhere. If you want to know your vocation then go to Christ. Approach him in the Blessed Sacrament, find him in the Scriptures, recognize him in the face of the poor, listen to him in the silent movement of your heart and will. Allow Christ to encounter you and then your reason will be enlightened and all the riches of truth will be found. And do not be afraid. If Christ calls you then he will sustain you. 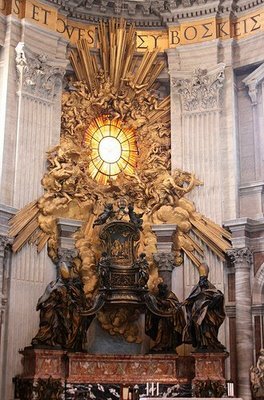 On February 22nd the Church celebrates the Feast of the Chair of St. Peter. This feast (which can be traced back to the mid-fourth century) has its roots in an ancient Roman custom of keeping an empty chair in a home for deceased persons from February 13th to 22nd. The exact date of St. Peter’s martyrdom is not known so custom has ascribed the date to February 22nd. The bishop’s chair, or cathedra, is an expression of the bishop’s pastoral authority in a diocese. On today’s feast the Church reflects on the unique authority of the Bishop of Rome as successor to Peter in the life of the Church. Below is a recent Angelus message offered by the current successor to Peter. The scribes and Pharisees certainly knew the words of God’s commandments and they could certainly quote the Scriptures and God’s law and prophets but they lacked that which is of of the utmost importance: the insight gained only through practice. “…let me learn them as people who carry them out learn them…” Therefore the righteousness of the scribes and Pharisees was lacking and our Lord recognized this. Our Lord in today’s gospel is calling for something much more deeper for us – his disciples. The mere memorizing of words is not enough. Our Lord, who comes “not to abolish but fulfill” (Mt. 5:17) the law and prophets greatly desires that we have a lived knowledge of God’s law so he steps it up by taking it to the heart – to that place within us where grace and our will interact. This knowledge which can only be gained through practice begins within – in that place where God’s grace and our will meet and the choice is made to carry out God’s commandment. This is the knowledge which moves beyond the mere memorizing of words to that which is true, authentic and that which gives life and wisdom. This is what our Lord greatly desires for us. It is the only knowledge that can transform lives … beginning with our own. Ignorance of the Catholic faith I can accept. Intentional ignorance and the effort to proselytize Catholics I have no respect for. Simple ignorance is a weakness, a lack of true knowledge that can be addressed through education. Intentional ignorance and proselytizing is a conscious avoidance of the truth and fundamentally a disrespect to the other person which masquerades under the guise of christian care. You would think that having grown up in East Tennessee and now serving as a priest for fifteen years here I would not even bat an eye at the efforts by some groups to proselytize Catholics (being so used to it) but I am still taken aback whenever I encounter it. I think because it runs so counter to a sense of respect for the other person that is deeply ingrained in the Catholic understanding and because these efforts are so often so blatant and “in your face” as if these groups actually think they are outsmarting and pulling one over on us poor Catholics. I believe they think they are getting away with it because the Church does not respond in kind to their proselytizing efforts. What they fail to realize is that the Church’s decision to not play the game is not a demonstration of the Church’s obliviousness but rather a demonstration of its true discipleship. The Church is fully aware of what these groups are about but just because they choose these tactics does not mean that we have to. The temptation is certainly there to respond in kind. 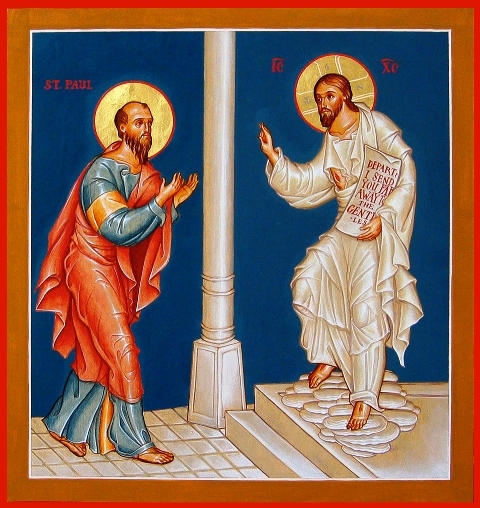 Like James and John we also might want to call down “fire from heaven” (Lk 9:54) but again and again throughout its teaching and documents on evangelization and mission the Church denounces proselytism and its methods because, at heart, these techniques and the mindset that form their foundation are a denial both of the dignity of the other person and of true christian discipleship. These points are taken from “Encounter with the Living Jesus Christ: The Way to Conversion, Communion and Solidarity in America” (Vatican City, 1997). What then to do in response? There are some things we can do but, it must be noted, they are all “choices for” and not “decisions against”. Again, we must avoid the temptation of James and John. As Christians we are fundamentally for Christ and the fullness of the gospel rather than being against anything. In the end all will be revealed and that which is lacking will be made known. A further note: As I have continued to reflect on this topic I realized that proselytism and its tactics can be applied not just to certain religious groups but also to certain strains of secularism. Just as there can be religious proselytizers there can also be secular proselytizers, both of which by their tactics deny respect for the other person. 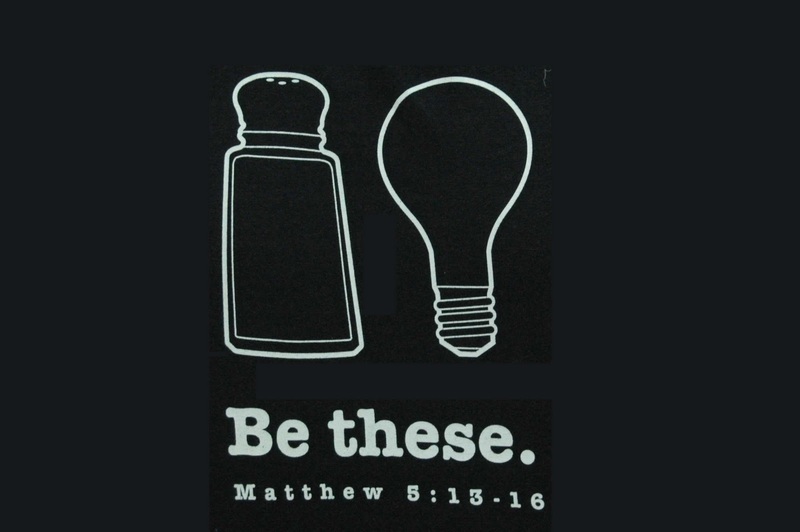 In Matthew 5:13-16, our Lord gives us two very distinctive images for what it means to live the life of discipleship – salt and light. We can say that part of the distinctiveness of these images is that both express a sense of “straightforwardness”. The taste of salt is immediately known. It is not a flavor content to hide under other flavors. When salt is there the effect on the taste of something in unmistakable. The same can be said for light. It also is immediate in its effect. Either it is there or it is not. When light shines in a dark space it is known. Both salt and light are straightforward in their nature. 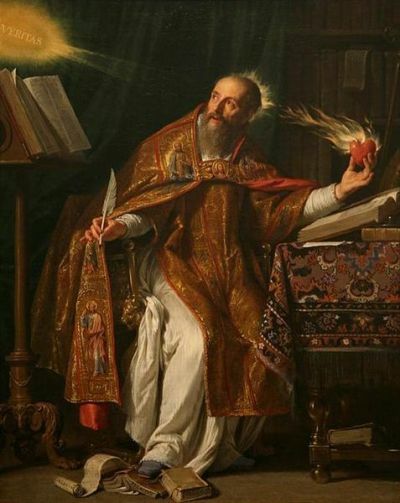 Augustine goes on to note that Psalm 112 proclaims that “glory and wealth are in the house of the just one…” Augustine comments that this “house” of the just one is in fact his or her heart and it is there that the just one dwells in a richer style than anything this world can afford. The “glory and wealth” of the just one is his or her righteousness before God. This is a “house” that no thief can break into and a “wealth” that can never be stolen. In his words to his disciples our Lord is very specific. “You are the salt of the earth…” “You are the light of the world…” This straightforward nature of discipleship is already within – it has been placed there by God’s grace in baptism; we are sons and daughters of God! This truth does not have to be earned or gained. It is already present in the very makeup of who we are! We are the salt of the earth … we are the light of the world … we are straightforward in our living according to the horizon that God has set for us. 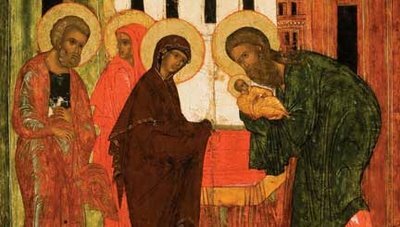 Every February 2nd the Church celebrates the Feast of the Presentation of the Lord. On this day we remember Joseph and Mary bringing the infant Jesus to the temple according to the law of the Lord (Luke 2:22-40). It is an ancient custom to bless candles on this feast. The blessed candles are then used throughout the year. The candles and their symbolism and significance work on many levels. Just as Joseph and Mary carried the infant Jesus (the light of the world) into the temple so we now, through our baptisms, carry the light of Christ within us. Sometimes this light burns strong and true but there are times when the light seems weak and close to going out. These can be times of struggle and difficulty. 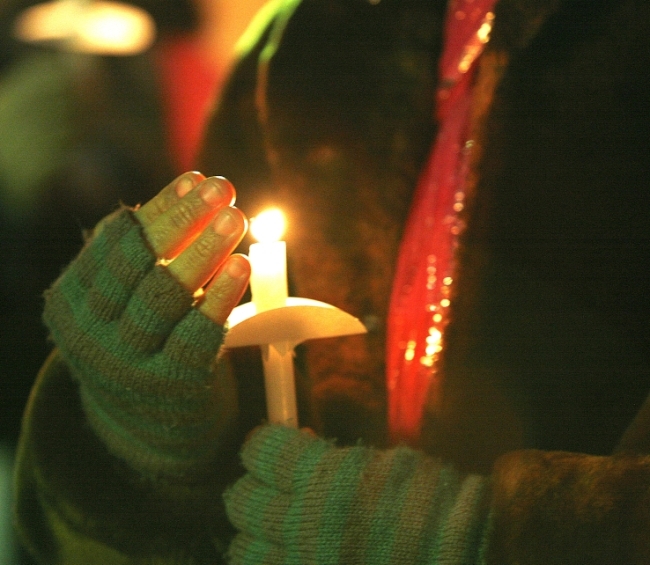 In these moments we might wonder how we can keep the light of faith lit when there seems to be such upheaval all about. The antiphon used for the feast’s responsorial psalm (Ps. 24) is significant in this regard I believe. The antiphon says, “Who is the king of glory? It is the Lord!” If we hold fast to this proclamation and enthrone it in our hearts then no matter how much circumstances and the world rage around us the light that is within us will remain. It will never be extinguished. In this proclamation all things are put in proper perspective. God is God and all else is not. The light will remain and we ourselves will shine with the light of Christ. But I trust in our Lord’s benevolence and if I err in sharing these thoughts for other people’s consideration then I call upon God’s mercy. A few months ago I determined through prayer and its insight to commit every Friday as a day of fasting and abstinence from eating meat. I talked this decision over with my spiritual director and I have determined that there are three compelling motives that have brought me to this decision: 1. a desire to grow closer to Christ 2. my role as vocation director and a fast specifically for vocations to priesthood and the consecrated life 3. a way of sharing in the repentance of the Church for the recent scandals that have wounded the body of Christ. In many of his words regarding the clergy scandals our Holy Father has called for a renewed spirit of repentance within the whole church. I believe that we must be sincere in this. Sincere repentance can help heal the wounds that afflict the Church and we all, as members of the Church, have a role to play. In my new ministry as Vocation Director for our diocese I am finding that there is much to do but the ministry must be about more than just “doing” because vocations cannot be programmed, designed nor produced. Vocations are a response of the heart to the call of Christ. This one day of the week I offer up my little discomfort that hearts might be open and willing to respond to God’s call. I want to draw closer to Christ and yet I resist. Fasting helps me to recognize all the ways (some big, some small) that I resist. Fasting helps to clarify my thoughts and focus my attention and realize what is of true and lasting worth. I have found that when I fast I am less caught up in my own illusions and I notice things more. Talking about noticing things… A little aside here – when I first began this weekly fast there were a number of weeks that I had to travel and I happened to find myself in airports on a few Fridays. I quickly came to realize (as I walked from gate to gate with a growling stomach) how a considerable amount of square footage in airport terminals is dedicated to the selling of food and beverages and how there seems to be an efficiency in getting the smells of cooking food out into the terminal! Lord, lead me not into temptation and help me walk by that Cinnabon stand! I offer these thoughts for consideration. There is a value to fasting. God can take the littlest thing we have to offer and can do great things with it! As I shared in a previous blog, for the past few weeks I have been working through “Verbum Domini” (Pope Benedict’s post-synodal exhortation offered at the close of the synod of bishops gathering last fall focusing on the word of God in the life and mission of the Church). It is a wonderful document and it is giving me much to reflect upon. One of the themes that finds expression again and again throughout the exhortation is the indispensable role of the Church community itself in the authentic interpretation of Scripture. For this reason, the privileged place for the prayerful reading of sacred Scripture is the liturgy, and particularly the Eucharist, in which, as we celebrate the Body and Blood of Christ in the sacrament, the word itself is present and at work in our midst. In some sense the prayerful reading of the Bible, personal and communal, must always be related to the Eucharistic celebration. Just as the adoration of the Eucharist prepares for, accompanies and follows the liturgy of the Eucharist, so too prayerful reading, personal and communal, prepares for, accompanies and deepens what the Church celebrates when she proclaims the word in a liturgical setting. There is much to reflect upon in these two passages. I find the recognition of the fundamentalist interpretation making itself “incapable of accepting the full truth of the incarnation” due to its refusal to acknowledge the historical character of biblical revelation to be very compelling. This is probably because I once witnessed this incapability on display. A few years ago I was pastor to a Catholic Church in a small town. The town was full of churches, many of which were fundamentalist. Every Christmas the churches would put out their nativity scenes for all to see. One Christmas one of the larger downtown churches did not put out a nativity scene but simply a crib with a babe in it and a large depiction of an open Bible behind the crib. That was all – no Mary, no Joseph, no shepherds, no angels, no animals – just an infant alone in a crib in the dead of winter. Every time I drove by the display I felt like I should call the Department of Child Services! Now, to give the church credit, I do see the message that they were trying to make about the centrality of God’s word. But, it was an approach to Scripture that missed the mark. The understanding of Scripture behind that lone crib was an expression of a theology incapable of accepting the full truth of the incarnation and therefore unable to accept the radical closeness of the divine and the human which is at the heart of the Christian revelation. 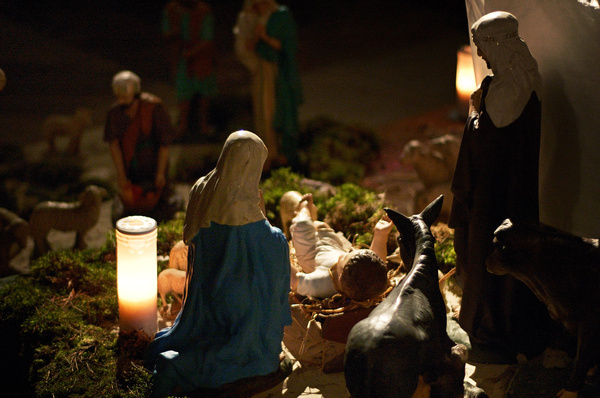 The nativity scene intimately demonstrates the closeness of the divine and human that we have in Jesus Christ. The eternal Word did not come into the world self-sufficient but rather emptied himself and became a helpless infant in need of a mother, an earthly father, care and protection. In need of our help! The nativity scene is the very proclamation of the incarnation! The error of fundamentalism is a denial of the incarnation. This denial of the incarnation is also a denial of the church. If we cannot even acknowledge the intimate union of the divine and the human in Christ then how can we ever acknowledge the value of the Church and the graced interaction of the divine and human in the Body of Christ? Fundamentalism refuses to acknowledge how it was the early Christian worshipping community itself and its experiences that formed what we now know as Sacred Scripture. God does not disdain “the human mediation of the sacred text…” God is not jealous. 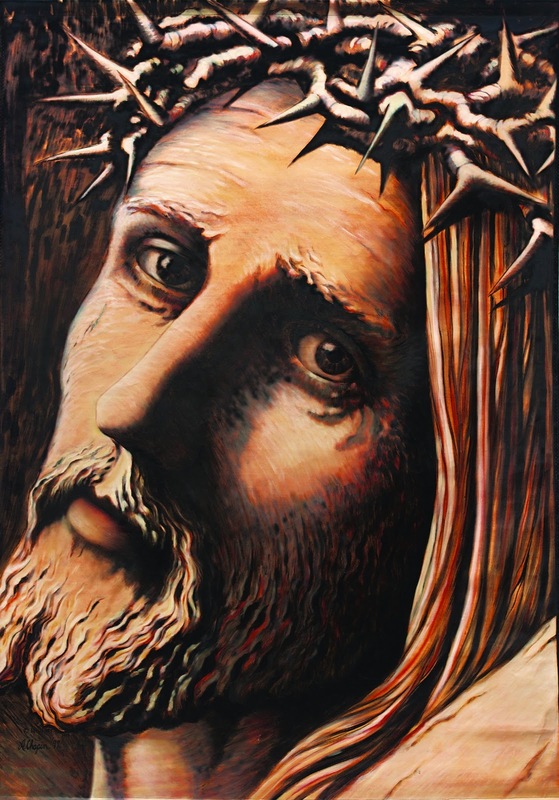 Human mediation in no way denies the glory of God – in fact it reveals it enfleshed! Because the fundamentalist interpretation of Scripture is anti-incarnational it is therefore anti-ecclesial. Everything devolves to a personal interpretation.